The OFFICIAL NKOTB PACKAGE TOUR after parties! Here is an interview NKOTB taped with One2One last month. They talk about their new album, being on their own label, their longevity, what do they do in their free time and more. Donnie called in to Kiss 108 and talked about the Boston Strong Concert and the New Kids/98 Degrees/Boyz II Men Concert on Monday. 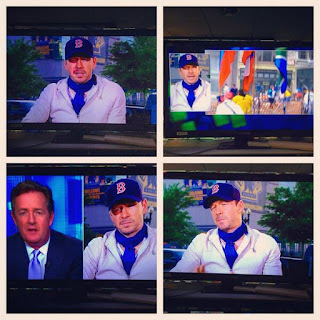 Donnie was on Piers Morgan Live to talk about the Boston Marathon attacks and the Boston Strong concert. Then the Dropkick Murphys came on stage and performed. The Dropkick Murphy's ended their set with "Shipping Up to Boston", then NKOTB joined them on stage and they transitioned into "Hangin' Tough", then NKOTB performed "The Right Stuff". Then they were joined by Bel Biv DeVoe. BBD performed "Poison" and NKOTB danced in the background. Then they performed "Please Don't Go Girl" and "I'll Be Loving You Forever" and "Step By Step". Donnie introduced Boyz II Men and both groups performed the song "One Sweet Day". NKOTB came back on stage for the encore with all the other performers and they all sang the Beatles "Come Together" followed by "Dirty Water" by The Standells (which is a song traditionally played at some sporting events in Boston, you can read about the history of it here). Donnie will be on Piers Morgan Live tonight on CNN. The show airs 9 p.m. in the US. Airs internationally at 11 p.m. UK/HK. 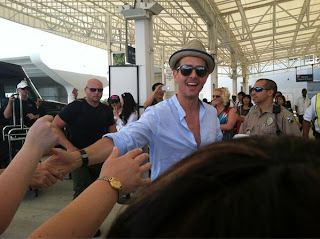 Here are some links to reviews and articles about the Package Tour with NKOTB, Boyz II Men and 98 Degrees. OK Magazine: NKOTB, 98 Degrees & Boyz II Men Launch The Package Tour—Get The Inside Scoop! The New Kids on the Block after party tickets for Uniondale and the 2 Boston shows (next week's shows) are now available at VIP Nation. More dates will be added later. Note: VIP Nation is saying there is no guarantee all 5 of the guys will be there. Update: The after party for Friday's show at ULTRA 88 Nightclub can be purchased here. Update 2: Looks like VIP Nation took down the link, but I'm sure it'll be back soon. Here are some videos from NKOTB's performance at the opening night of The Package Tour last night at Mohegan Sun. Videos courtesy of ameeliu15. Update: If the iHeartRadio link is not working, try this link: http://www.cnn.com/video/data/2.0/video/cvplive/cvpstream1.html You can also listen to the audio stream at http://www.margaritaville.com/radio_flash.html (If the CNN stream is buffering a suggestion was to mute the CNN feed and play the Margaritaville audio). 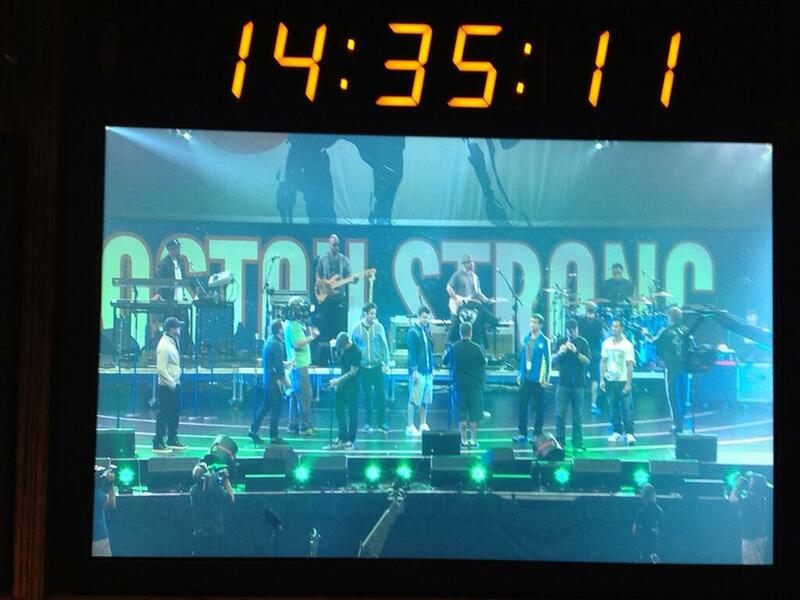 You will be able to stream the Boston Strong concert live tomorrow night (May 30) at 7pm here. If you are outside the US, try CNN International. Along with New Kids on the Block, the concert will also feature Aerosmith, Jason Aldean, Boston, Jimmy Buffett, Dane Cook, Dropkick Murphys, Extreme, J Geils Band, Carole King, James Taylor, Steven Wright and more. You can donate to The One Fund by going here. 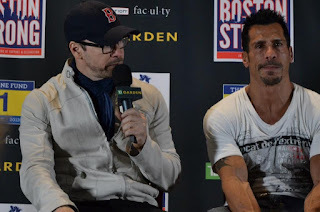 Boston Strong line up http://bit.ly/12S1ewI via @MassholeSports NKOTB's part starts at 8:37 with a presentation from Donnie. Click here for the New Kids on the Block set list for the Package Tour! Update: There are a few early videos up on DeenasDays Youtube Channel. Click here for a photo of the stage set up (from afaroni3). Jordan was asked by Billboard Magazine who his dream touring partners would be. He said he'd chose The Beatles, Take That, New Edition, Robin Thicke and *N SYNC. Click here for the full article. Tomorrow is the opening night of The Package tour. If you want spoilers and updates from fans attending the show, follow this list. Tickets for the after party tomorrow night with Donnie and Danny will go on sale at 8PM here. Jordan and Danny were interviewed on ShawConnect. You can also read Ashley Gibson's blog about interviewing them and see photos of them here. NKOTB will be ABC Spark in Canada on Wednesday, May 29 at 7:30et/4:30pt! Joey is quoted a few times in this Boston Globe article about Boston Strong. WCVB posted an article about Joey putting on his Boston Marathon medal on during the NKOTB cruise. NKOTB posted a sneak peak of a few items that will be available for sale at the shows. Check them out here. Danny shared the recipe for the turkey burgers featured during BBQ Wood here. The Knight brothers loving on my vine!!! "We need to talk. Let's grab a coffee." Here are some NKOTB cruise videos from the game show "Wheel of NKOTB Fun". Group B courtesy of MsHME79 and group A videos courtesy of yikes77. Here are some great Youtube channels to check out for NKOTB cruise videos! Yesterday was the day at Nassau. Danny did a presentation on healthy eating with "BBQ Wood" and played some beer pong. Donnie was joined by Joey and Jordan for a "Back Rub" on the Lido deck (this was the re-scheduled "Mystery event"). Group B attended their acoustic concert with the guys and last night's theme was "Remix". The Boston Globe posted an article about Joey buying a house near Boston. Contrary to what Thomas Wolfe wrote, you can go home again. Just ask Joey McIntyre. The New Kid on the Block has been living in Los Angeles for several years, but he’s just bought a home on the South Shore. According to the Plymouth County Registry of Deeds, Joey Mac and his wife, Barrett, paid $450,000 for a place in Plymouth. No, the kid from Roslindale isn’t uprooting his family and moving back. “We’re firmly in LA — kids, school, career, etc. — but we found a little getaway in Plymouth,” McIntyre told us. “It’s nice to know my [three] kids will have a piece of Boston in their lives.” NKOTB, about to hit the road with 98 Degrees and Boyz II Men, will be at TD Garden May 30 for the One Fund Boston benefit. Win VIP Access to Mixtape Festival at Hershey Park, PA to see NKOTB, Train, OneRepublic, Gavin DeGraw and more! Meet and Greet with NKOTB, Jonas Brothers and Hanson! 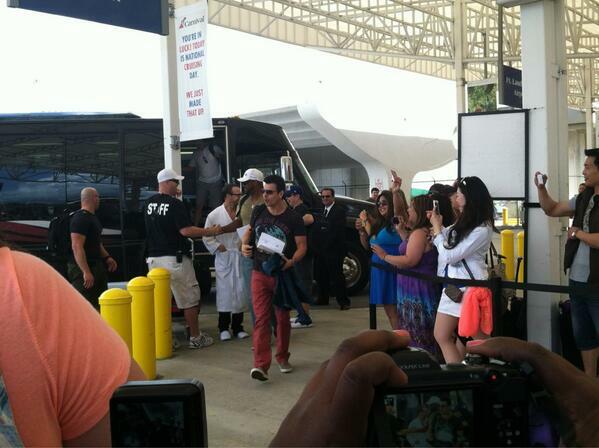 The guys have boarded the boat! Here are some photos of the guys arriving on the cruise (Danny, Donnie, Joe, and Jordan courtesy of @Emmamour, Jonathan courtesy of @lakersRN24). 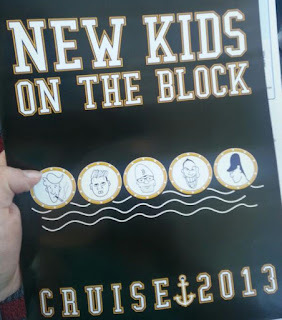 "NKOTB Cruise 2013 Part 2"
To view the lists on your phone - click on my profile (@nkotbnews), open up "lists", then select "NKOTB Cruise 2013" or "NKOTB Cruise 2013 Part 2". From @ktsummer: Game show is wheel of fun and the concert is acoustic! Eeeee! Danny was on Karson and Kennedy's show on Mix 104.1. They talk about Danny and Jordan's birthdays, and a contest to party with NKOTB at your house and more! The New Kids on the Block appearing will be on "ET Canada Conversations: New Kids On The Block" on ET Canada on Monday, May 20 at 7:30 p.m. ET/PT. 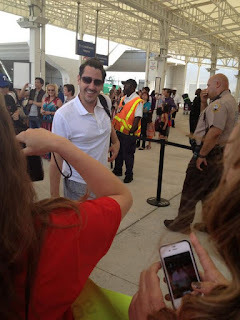 Check out Rick Campanelli's blog about NKOTB's visit to Canada last month here. E! interviewed the New Kids on the Block while they were rehearsing for the upcoming tour. They show the host some of their dance moves and answer a couple questions from fans. Donnie was at he 2013 TNT/TBS Upfront in support of Boston’s Finest. Here are some photos! Donnie with Manny Canuto, Diamantino Araujo, Jen Penton and Greg Dankers from Boston’s Finest. The NKOTB Cruise 2013 Itinerary has been released... Click here to view! Candace Cameron Bure (from Full House) posted a blog that mentioned that she and Andrea Barber got to see an "under the radar performance of Joey McIntyre’s latest project: a one man show about his life story". Check out her full blog post here. Access Hollywood featured a segment about the New Kids on the Block today. 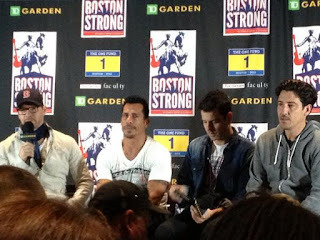 They interviewed about the Boston attacks and the upcoming Boston Strong concert. 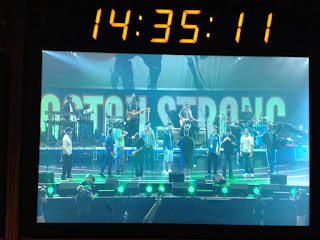 They also showed some footage of the guys rehearsing for the summer tour! 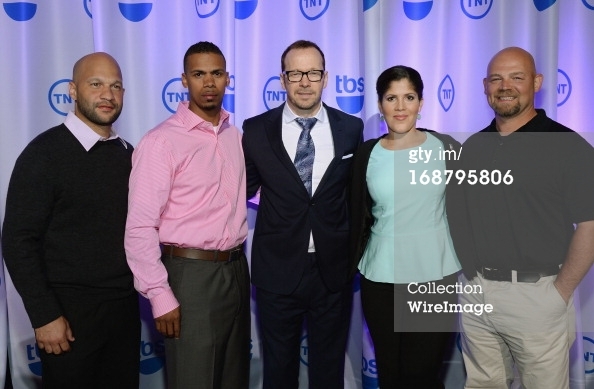 TNT has renewed the unscripted series "Boston's Finest" for a second season, scheduled to air early in 2014. 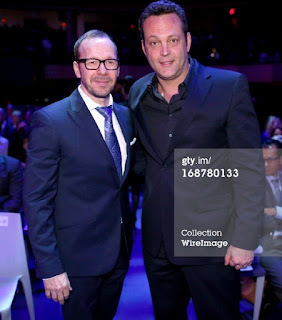 The Donnie Wahlberg-produced show received a six-episode order - down from eight episodes this season. As part of its renewal deal, the show will also air on sister channel CNN. The show follows several members of the Boston Police Department and shows some of the personal struggles these law enforcement officers endure outside their shifts. Preview clips of tonight's Blue Bloods episode "This Way Out"
Jordan and Joey were at a special event hosted by radio station Alice 105.9 in Denver last Friday. You can view photos of them here! 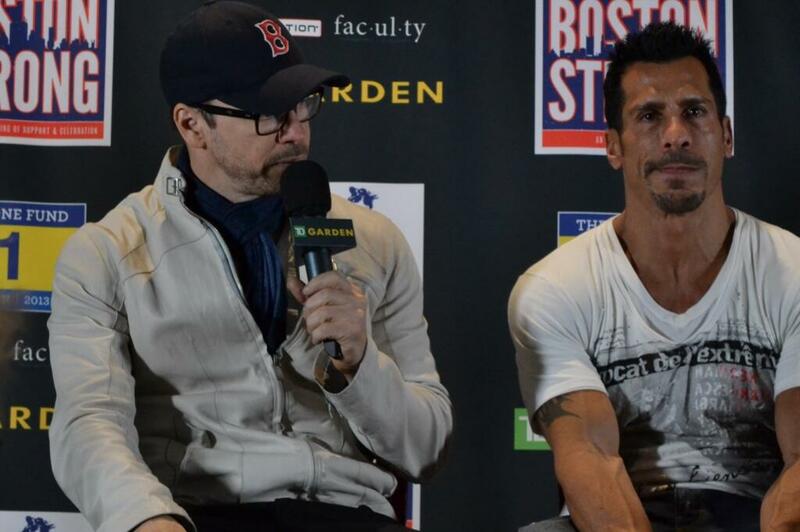 Here is an article from the The Boston Globe in which Donnie talks about the Boston Strong concert on May 30th. 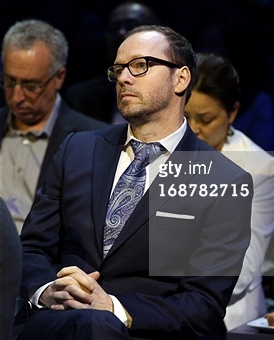 Donnie Wahlberg at the announcement of the concert to benefit victims of the Marathon bombings. 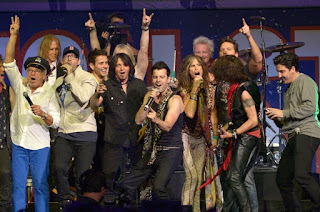 A star-studded rock ’n’ roll fund-raiser on behalf of the victims of the Boston Marathon bombings is shaping up to be a cause for serious celebration. The event, dubbed “Boston Strong: An Evening of Support and Celebration,” is set for May 30 at the TD Garden, and will include four hours of music and comedy from some of the biggest names in Boston (and beyond), including Aerosmith, Boston, New Kids on the Block, James Taylor and Carole King, the J. Geils Band, Jimmy Buffett, Dane Cook, and Steven Wright. Tickets, which will be priced from $35 to $285 — with no surcharges or fees — go on sale Monday at 10 a.m. at www.ticketmaster.com. Net proceeds from the show will benefit The One Fund, which has so far raised more than $27 million for victims of the bombings. New Kids member Donnie Wahlberg, back in Boston for the first time since the bombings, became emotional as he spoke of his desire to do something — anything — to help the city and lift people’s spirits. 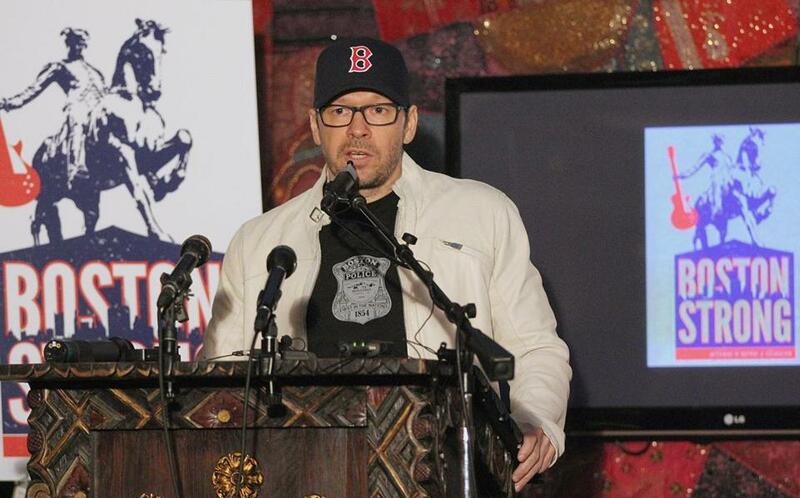 Wearing a Red Sox hat and a black Boston Police T-shirt, Wahlberg said he and bandmate Joey McIntyre, who’d just finished the Marathon when the bombs exploded, talked immediately afterward about playing a benefit. “It just kind of rolled from there,” he said. 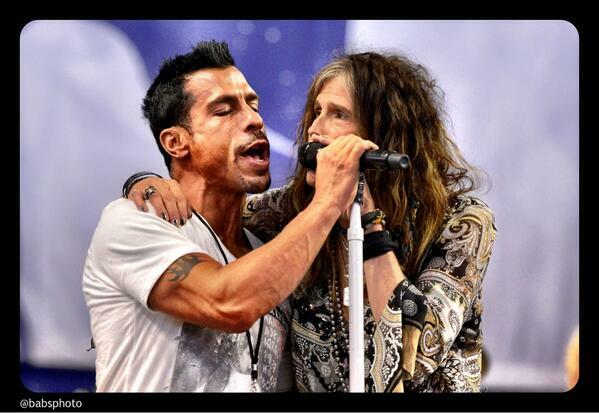 Law said Aerosmith is on the bill even though the band has a show in Singapore a few days before. Buffett, he said, reached out after the bombings and asked to participate if such a concert was scheduled. Concern about resellers scalping tickets at sky-high prices has prompted organizers to use paperless tickets. That means people who purchase tickets will have to present the credit card used to make the purchase and a valid ID to get into the concert. Law acknowledged that the paperless ticketing system presents problems of its own — 15,000 people showing credit cards and IDs at the door will slow things down — but it’s the best way to inhibit scalpers. Before the 12.12.12 Concert for Sandy Relief at Madison Square Garden, tickets originally priced from $150 to $2,500 were selling on the secondary market for several thousand dollars each. “We’re doing everything we can to keep the brokers out of this,” said Law. 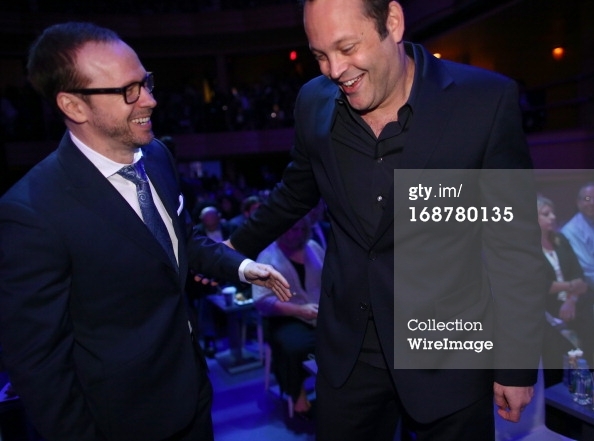 But Donnie said the big draw for him wouldn’t be his brother. Here is a clip of Donnie on WBZ Channel 4 talking about the Boston Strong concert benefiting The One Fund Boston. Here is a news segment from WHDH-TV 7News in Boston about the Boston Strong concert. It also includes clips of Donnie at the press conference announcing the event. 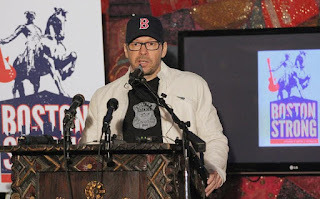 WCVB reported on the Boston Strong concert and interviewed Donnie. 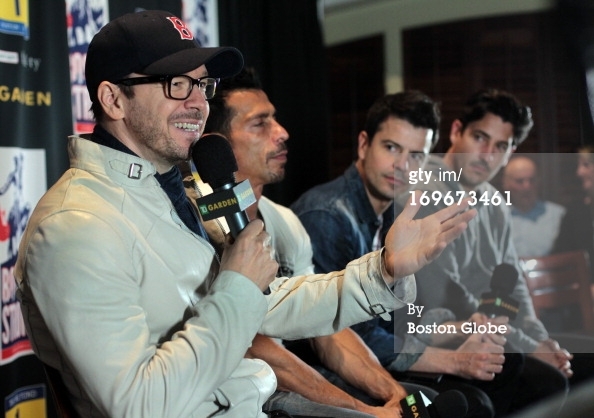 Jordan talked about the Package Tour with NKOTB, 98 Degrees and Boyz II Men in a news segment on NECN. 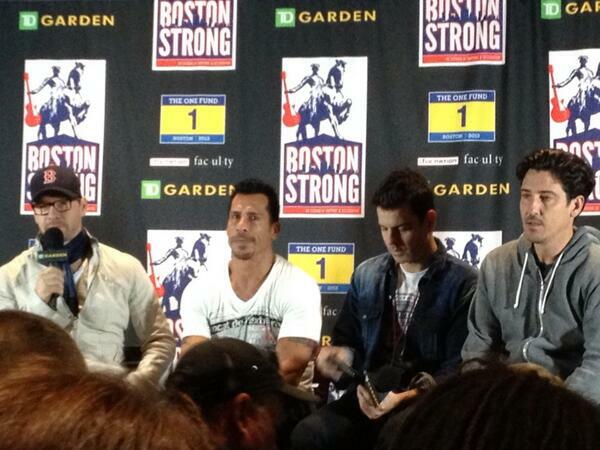 The Boston Strong concert has officially been announced. Here is the line up and ticket sales info. For more info, visit their website at http://aconcertforboston.org/. NKOTB, 98 Degrees and Boyz II Men will be making an appearance on the Today Show on May 31. For more info go here. 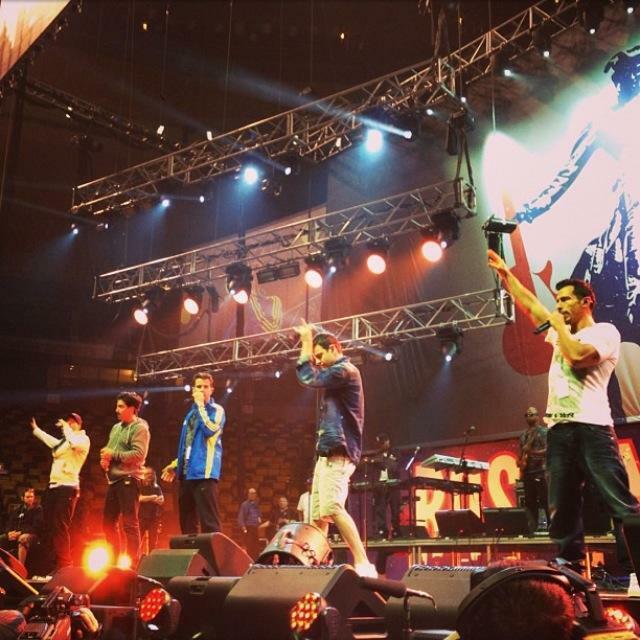 The Boston Globe is reporting that the New Kids on the Block will be a part of a benefit concert for victims of the Boston Marathon bombings on May 30 at TD Garden. As we first reported, a blockbuster concert benefiting the victims of the Boston Marathon bombings will be held May 30 at TD Garden. Live Nation’s Don Law, one of the event’s organizers, will announce the line-up Friday at a press conference at the House of Blues. We’d heard the benefit for The One Fund would include some of the biggest names in Boston music, and, apparently, we heard right. According to people privy to the planning, among the acts expected to perform are Boston, the J. Geils Band, James Taylor and Carole King, New Kids on the Block, and Jimmy Buffett. (Although Buffett isn’t from Boston, the “Margaritaville” singer has a rabid fan base here and is close friends with Law.) No word on what tickets to the rock n’ roll fundraiser might cost or what, if anything, will be done to prevent ticket resellers from selling tickets at sky-high prices. In the days leading up to the 12.12.12 Concert for Sandy Relief at Madison Square Garden, tickets originally priced from $150 to $2,500 were selling on the secondary market for several thousand dollars each. The lineup for The One Fund benefit is stellar -- each of the acts has sold out the Garden in the past -- and we’re told more bands could be added. 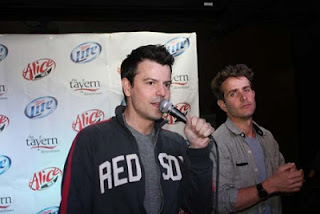 Jordan Knight was interviewed by Mix 105.1 in Orlando. 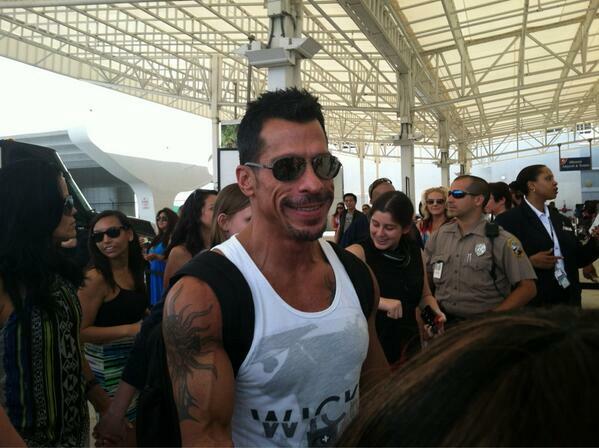 He talks about being on tour with NKOTB now verses back in the day and more. Jordan talked to the Cranston Patch about his gym and training for the upcoming tour and more. Have you ever wanted to know how Jordan Knight of New Kids On The Block stays fit and performance-ready? Fit World of Cranston, the facility owned by the singer-songwriter, is now offering a program based off of the routine Knight has been using to prepare for New Kids On The Block’s upcoming tour. Knight was at the Cranston facility Monday to demonstrate some aspects of Mike Boyle’s Strength and Conditioning program, which is now being integrated into Fit World’s group training classes. While preparing for “The Package Tour,” which will feature New Kids On The Block, 98 Degrees and Boyz II Men, Knight began working with celebrity trainer Mike Boyle. Considered an expert in sports performance training, Boyle has worked with professional athletes from the Boston Bruins, New England Revolution and the Boston Red Sox, among others. Knight began Boyle’s Strength and Conditioning program about a month ago in preparation for the start of the 50-city tour. Knight will perform with his fellow New Kids five nights a week for two hours each night. He says Boyle’s program is improving his physical strength and endurance, adding that he can feel a difference in everyday activities and says he has more energy. Knight was impressed with the program and asked if Boyle would help him bring it to Fit World, a facility Knight has owned for years. The New England native opened his first health club in Cranston in 1995 but moved the facility in 2008 and renamed it. “I found this building and figured I could make a nice gym here,” he said. With the help of his brother, Knight researched different areas and determined that the demographics and need for a good gym were present in Cranston. “At the time, there weren’t many gyms in the area; there weren’t many good gyms,” said Knight. Back on the gym floor this week, Knight was hard at work performing some of the program’s drills with the help of Fit World Trainer Brandon Burton. To accommodate the new program, cardio and strength machines have been moved to create an open area where participants can perform some of the grueling drills. A small area of AstroTurf has been laid down to accommodate a large weight sled that needs to be pushed along the mat. Knight joked that the area looked like a fitness playground. During the demonstration, Knight utilized mini-hurdles, a floor ladder, medicine balls, resistance bands and ropes, and pushed the 130-pound sled with weights. Although he has been training for some time, Knight can still work up a sweat with some of the drills. After performing one exercise that required Knight to continuously move two large ropes that were secured on one end to a stationary object, the performer was visibly winded. Knight said that being fit is not only about looking lean or “looking fit,” but also about feeling better and having endurance, especially for someone like him who dances on stage regularly. Knight said this workout program is not a boring routine that becomes easier over time. While it follows the recent fad of functional training, Knight says the program at Fit World is unique because it is based on the program from Boyle, who has been working with some of the best athletes for 20-plus years. “Our thing is the real deal,” said Knight. Knight also says Fit World benefits by being an independently owned facility. He feels they have the independence to implement unique programs such as Boyle’s. “You can do what is best for your members,” he said. The program at Fit World has been integrated into functional training classes and all Fit World trainers have been instructed by Boyle to better understand the program. While the idea of performing the same workout as professional athletes and performers may be overwhelming, Knight and the trainers at Fit World insist the program is for all ages and ability levels. “We go through an evaluation process,” said Burton, who explained that individuals come in, sign up for the program and go through a process with a trainer to evaluate their current fitness levels and goals they have. The trainer will then adapt the program to the individual’s ability. Training can occur in groups of four or five people, as well as larger group classes of 10. There is also an option for semi-private training, which consists of one trainer and two clients. The session will have each client performing a different exercise while the trainer monitors and works with both. “It’s been really popular. People have seen a lot of results,” said Fit World Manager George Sweeney, who estimates between 110 and 115 members are part of the program. The program costs $198 a month for two hour-long sessions each week. “It comes out to roughly $25 a session,” said Sweeney. In addition to the adult program, Fit World will be implementing a version of the program for kids and teens for the summer. Burton explained that the kids in the younger group would be working on movement as opposed to strength training; they would not be pushing the 130-pound sled Knight does. The second youth program will be for ages 12 to 18 and be more sports-focused. The goal of that program is to keep teens in shape for fall sports during the summer months. “It is more specific to their sport,” said Burton. Knight says the children’s program is important because it encourages kids to be active in a time when child obesity is on the rise. A father of two boys, Knight says he always encourages his kids to go outside, and they play sports year-round. Plus, Knight jokes that having active kids can benefit parents. “When you keep your kids active, they tend to go to sleep,” he said. To individuals who feel they are not up for the challenge of a workout mirroring famous pop stars and pro athletes, Knight says not to worry. “Just jump in. We take all shapes and sizes here. We aren’t trying to make body builders; we aren’t that kind of gym,” said Knight. He says Fit World is a positive and welcoming environment, no matter one’s fitness level. “Everyone feels a little intimidated at times, even I feel intimidated sometimes,” said Knight, saying he is nervous when trying new things on stage. The key, he says, is to try new things and work through the nerves. For more information about Fit World and functional training classes, stop by the facility at 30 Kenney Drive in Cranston or call the gym at 464-4055. Shows in the area are at Mohegan Sun in Uncasville, Conn. (May 28 to May 30) and TD Garden in Boston, Mass. (June 2 and June 3). Check out thepackage-tour.com for details; more dates may be added.